James Fields also faces several other related charges. The murder charge against James Fields, the man accused of driving his car into a crowd of "Unite the Right" rally protesters in Charlottesville, Virginia, was just upgraded. 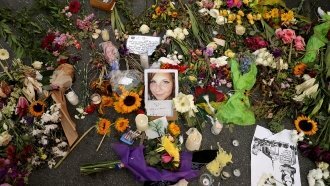 Fields was originally charged with second-degree murder in the death of protester Heather Heyer. That's been upped to first-degree murder. He's also facing one felony count of hit and run, and multiple counts of malicious wounding and aggravated malicious wounding. Dozens of people were injured in the incident. Fields attended the Unite The Right rally, which was scheduled to protest the removal of a Confederate statue. Acquaintances told The Washington Post he has a history of admiration for racist ideology and Nazi Germany. In an interview with The Daily Beast, Heyer's mother said right-wing extremists are still threatening violence against her family. Fields' case, along with the cases of three others connected to the rally, will be presented to a grand jury on Monday.